Today is the last weekday of our summer. From here on out, we’re in the official school year. We’ve got another weekend, but then it’s off to the races. 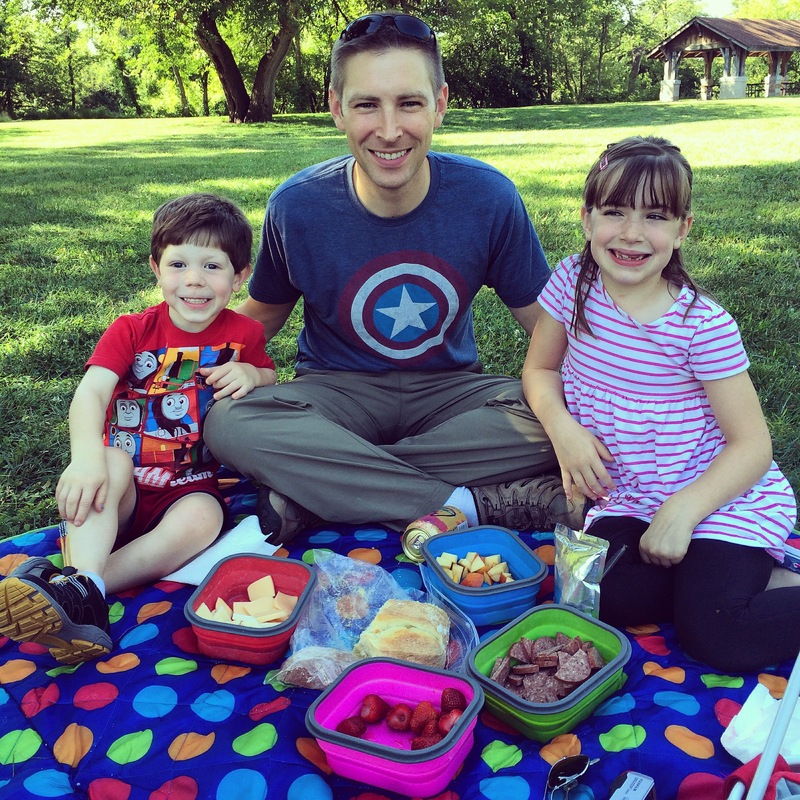 To mark the occasion, we enjoyed a picnic dinner and some time at Eastwood Metropark. Eastwood has become our favorite stomping-grounds this summer since it has both an abundance of “nature” (read: longish grass, water, and birds/ducks) and a good playground. We’ve got one more Saturday morning full of t-ball games tomorrow and then we’ll rest up for the big day Monday. Not gonna lie, I might be doing a happy dance by 0830 Monday morning. Together all summer is cool, but school days are awesome. 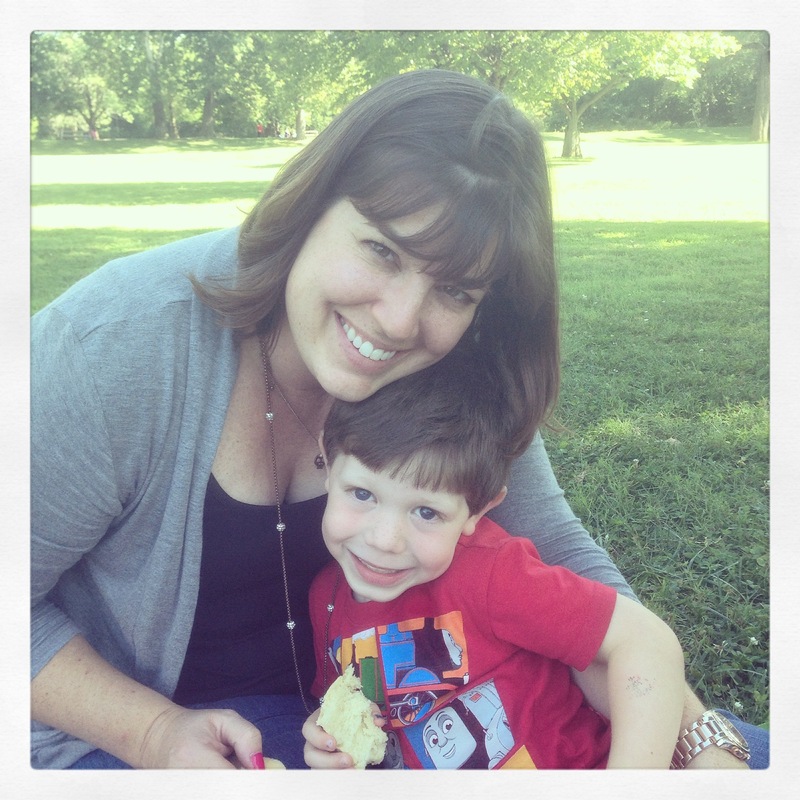 PS – The blog is back!! I’m going to try to make this a regular-ish thing, so come back soon! We tried to put some intentionality into the run-up to Christmas this year, so I cooked up a little countdown. Every night, we did one “special thing” which was annotated on a card hung near our stockings. I couldn’t have managed to blog it all, but Instagram was at the ready to capture the memories. When it was over, I used another app to make a video of all the photos we took. Thank goodness for the iPhone or memory-keeping would be lost altogether in this crazy. So, here it is. Our advent 2013. Wishing everyone a joyful 2014! Lots of kids share their childhoods with imaginary friends. Ava always had a few rattling around in her imaginary world, but no permanent friends. Noah, however, has a very lively imaginary cohort beginning to take shape and, wowzers, it’s awesome. 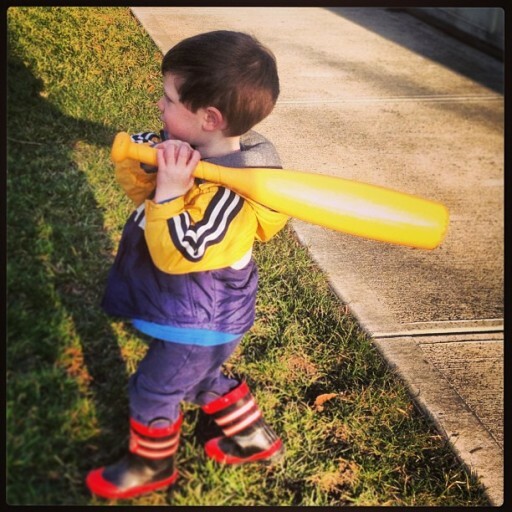 To understand his imaginary world, one must first understand that our boy is obsessed with baseball. He sleeps in his baseball cap, wakes up in the morning wanting to go out to play, sits still for inning after inning on TV and in real life (no three-year-old does this! ), demands a catch with a parent every chance he can. It shouldn’t really come as a surprise that he not only has an imaginary friend, but that he has a whole team of “baseball men” to keep him company during the day. These baseball men sleep in his room, keep him company at the lunch table, and generally bring joy to his life. The pitcher is named “Bubbles” and the catcher goes by “Strike 2.” There are a few other named players, but their titles are such gibberish that I can’t transliterate them yet. 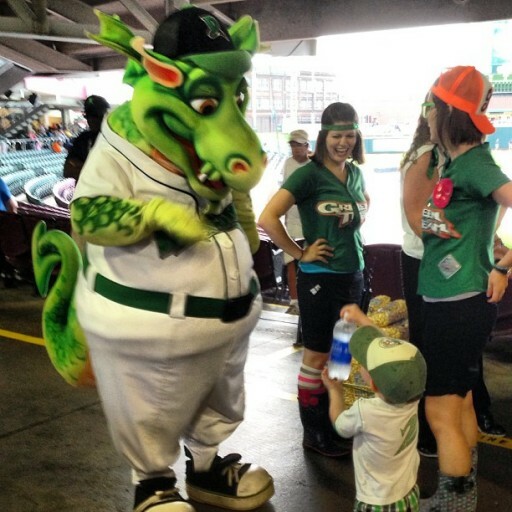 In a dream earlier this week, Bubbles and Heater (the mascot from our local AA team) were up to some mischief on the ball field that Noah described in such a detailed, descriptive way that it was impossible not to be caught up in his story. Never mind that following the logic of three-year-old storytelling is nearly impossible. Noah & Heater having a chat at a Dragons game. In another of Noah’s baseball men stories, the team had wings and flew around the baseball field. I think he’s going to love both Field of Dreams and Angels in the Outfield when he is older. Love that our little guy has found something that makes him happy. Delighted that the thing that makes him happy is something we love too. Here’s hoping that Bubbles and the gang are here to stay!